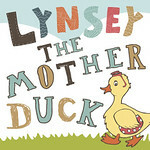 As mentioned in previous posts, Lynsey The Mother Duck will be a year old in August. As well as looking forward and thinking about how the blog can be improved I also think it is important to look back. It has been pleasing scouring through posts of 2011-12. So rather than the blog sit vacant whilst I am enjoying the balmy 80 degree heat of the Sub-Tropical Swimming Paradise at Centre Parcs with the family this week, from tomorrow I am going to present my Top 5 Favourite Blog Posts of the year. What would your own Top Five from your blog be?